In a heavy based saucepan, saute onions & garlic in the oil until soft & transparent. Add tomatoes & tomato puree, allowing sauce to come up to the boil, and then reduce heat to bring sauce to a simmer & allowing the sauce to reduce & become thick. To finish the sauce, season to taste & stir in the fresh herbs. 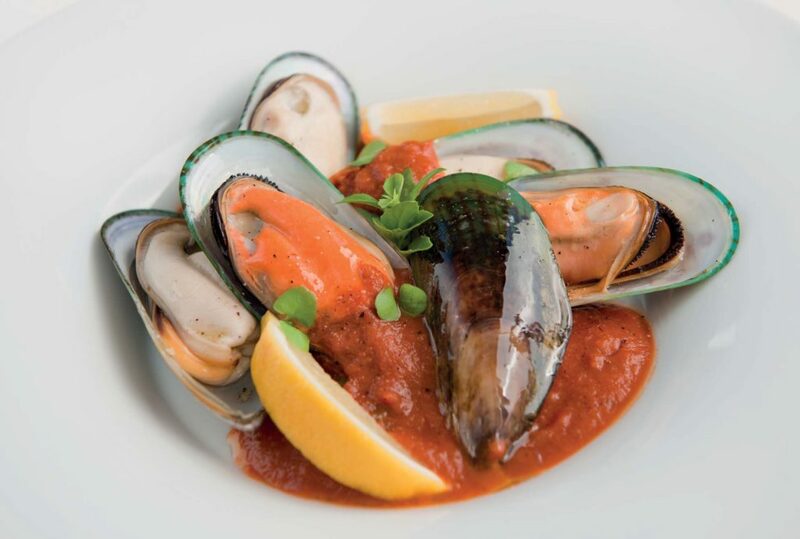 Warm the mussels in the sauce & serve in a suitable bowl or service dish.